Attractive shrub from inland Australia related to cotton. 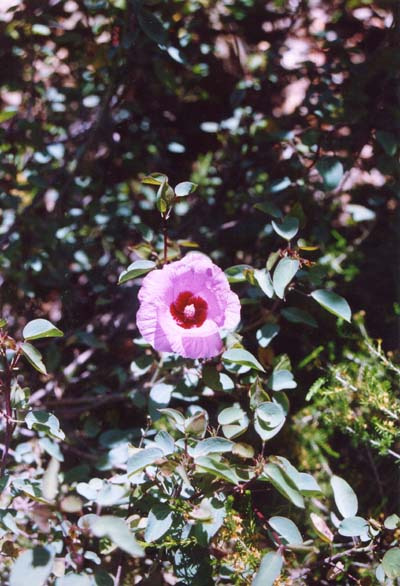 This species has grey-green roundish leaves and profuse lilac-mauve flowers with central red blotch. Grows naturally along dry stream beds and drainage lines. Requires full sun with plenty of air flow. Useful addition to semi-arid or cottage gardens. Responds well to extra water in dry periods. Propagation Information: Seed germinates readily and remains viable for many years.